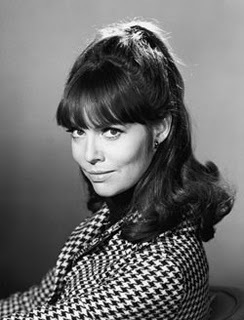 It's funnier that Barbara Feldon is the image instead of a lame one of a thermometer breaking due to heat, right? Yeah, that's what I thought too. It's double bonus points that Morty will now be singing this song alllllllllday long. ...in his head, of course. Trust me, I will be doing the same (though it is currently competing with the National's "Lemonworld"). Yesterday in DC was hot, but not as hot as the days before. Still it was toasty. The weather looks a bit cooler today, but I'll be gone. 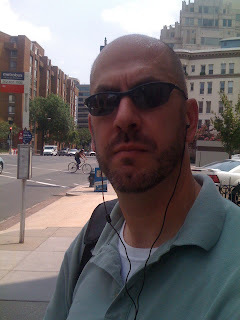 As soon as I hit 'publish', I'm headed to Union Station to go to BWI and then fly home. Yayyy! But I got done with client stuff around 4p and headed to the hotel pool, which may have been marginally cooler than the day before. The wind was stronger, so I could just douse myself and stand in the breeze and cool down that way - at least for a few minutes. I am ready to come home. No big weekend plans other than a dinner tonight and a brunch on Sunday. Oh wait, those aren't such nothing plans. Scratch that. Ok, I do have to motor - but I'll leave you with yet another image of me. Me Me Me Me! You can click to enlarge it and see all the beads of sweat on my chrome-ish dome. If it's so hot why are you wearing an undershirt? Dressing in layers is for winter. Actually, I really like that shot. Even without the smile.